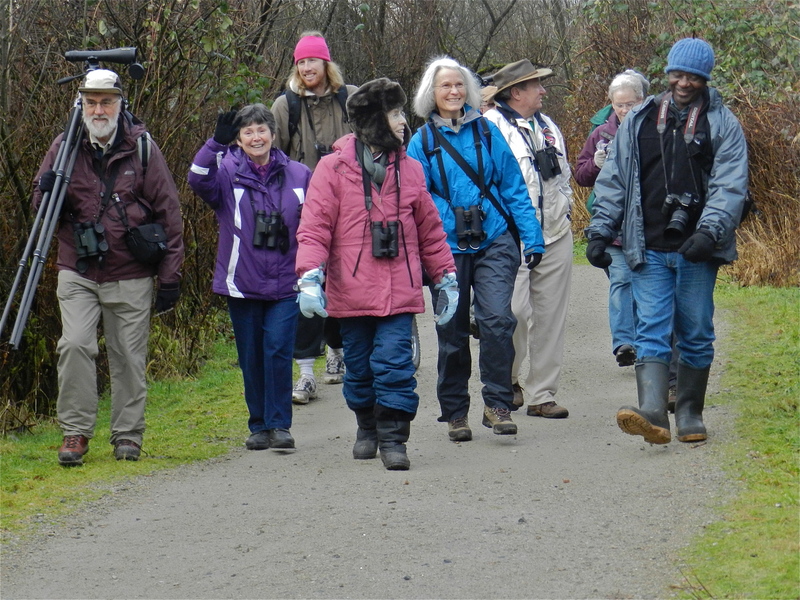 Thirteen participants (Jonathan & Lorraine, Ken & Anne, Bryan & Janet, newbies Marion & Vancouver Island Martie, Lorna, Surrey John Mick, Roger, Sasquatch Russell and me) enjoyed a dry, mild and occasionally even sunny, Monday morning at Burnaby Lake Regional Park. Hi-lites were: Sharp-shinned Hawk, Belted Kingfisher, both Ruby and Golden-crowned Kinglets, lots of duck species in beautiful plumage (Ring-necked, Wood, Scaup, Goldeneye and Mergansers) and eating Roger’s and Brian’s chips with a delicious pint of Sleeman’s Draught. Check out Ken’s photos (and hopefully others soon) on our DNCB Picasa site at: http://picasaweb.google.com/dncbirding. John Mick, Lorna and I left Petra’s at 8:00 a.m. with Roger driving; we made the 40 minute drive to the parking lot at the Park’s Nature House in an hour. I had called our Birding Guru Russell who elected to drive there on his bicycle; he passed us on the way. We introduced the eclectic group of 13 weirdos to each other while Russell wolfed down his cold pizza breakfast. Bushtits and a Bewick’s Wren were in the trees near the cars. We walked toward the lake with Golden-crowned, Song and Fox Sparrows on the path. At the water’s edge, we were amazed by the number of duck species mixed together, in beautiful plumage, that were up-close-and personal, including, Wood Ducks, Hooded Mergansers, Common Goldeneye, Lesser Scaup, Bufflehead, Green-winged Teal and Mallards. Out from the boardwalk (aka Piper Spit), we saw Ring-necked Ducks, Common Mergansers, Gadwall, Pied-billed Grebe and a Yellowlegs. A pair of Bald Eagles was guarding their nest as a couple of scullers paddled by. Russell tried in vain to call in a Virginia Rail that we heard. We decided to walk the Brunette Headwaters Trail to the Cariboo Dam. Someone had put some seeds on a stump and it was neat to see both Black-capped and Chestnut-backed Chickadees feeding together, with a Douglas Squirrel. 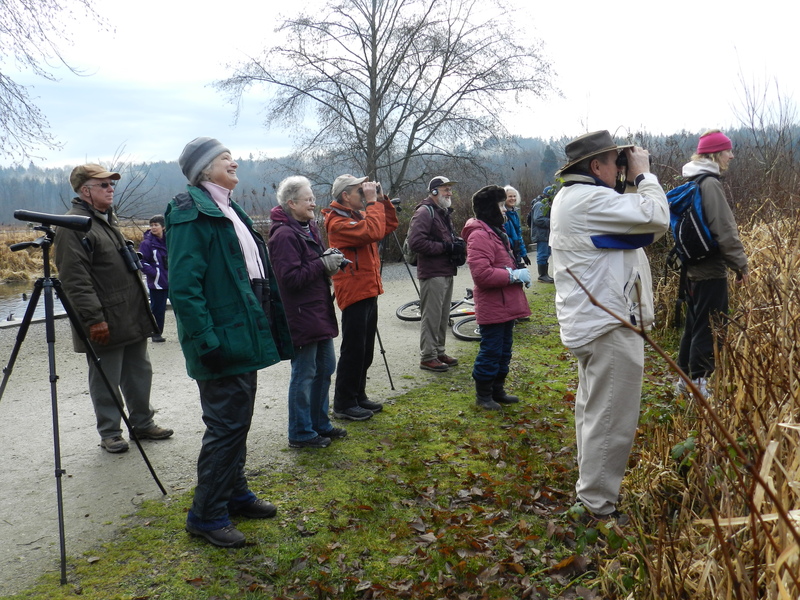 We saw Golden-crowned Kinglets too and then later a Ruby-crowned; Russell gave us identification hints as to the differences which most of us have already forgotten. Roger spotted a Sharp-shinned Hawk land in a conifer which gave us a bit of a thrill. Lots of visible evidence of various woodpecker activity in the trees, but we only saw a Downy. We got to the Cariboo Dam where always-affable Lorna was thrilled to see a gorgeous female Belted Kingfisher. 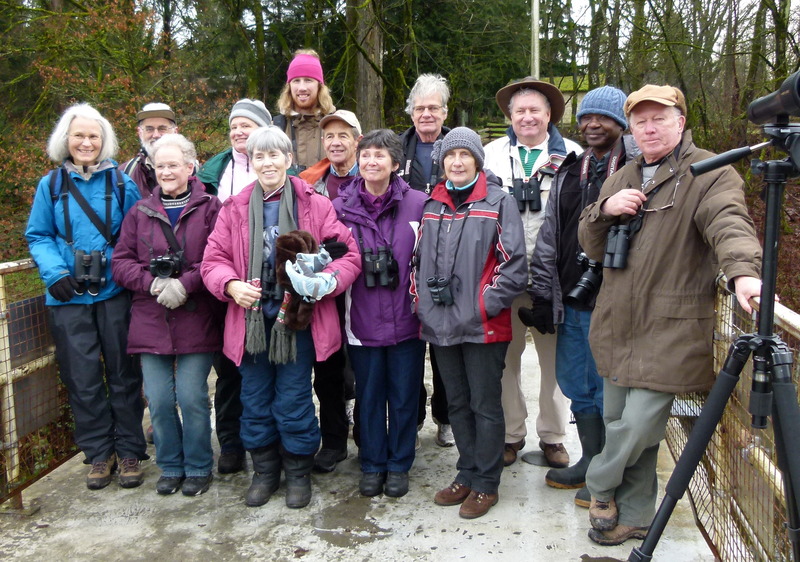 We dipped on seeing the Dipper, but took the mandatory Group Photo. The walk back was uneventful and the chatter equally boring with the unending plethora of repetitive birding witticisms. Back at the Nature House we said goodbye to Russell, ate a few peanuts, and then drove to the Rowing Pavillion at the other end of the lake. Here we saw more Pied-billed Grebes, Hooded Mergansers, Bufflehead, Yellowlegs (Greater or Lesser) and a Double-crested Cormorant, but no Dowitchers or Horned Grebes. It was 12:30 p.m. so we (i.e. the remaining six) decided to go for lunch at Roger’s recommendation, the Hip & Hop Restaurant in Burnaby. My beef dip, Sleeman’s draught beer and the french fries stolen off Brian and Roger’s plates really hit the spot. The drive back to Tsawwassen was awesome as I was able to sleep through Roger’s repetitive revelation of him spotting the Sharpie, the bird of the day. I think we had a grand morning. Next Monday, February 6, I will be at Petra’s for departure at 8:00 a.m. on an outing to Blaine, Washington. Depending on the Border, we should be at Blaine Marine Park on Drayton Harbor by 9:00 a.m. Don’t forget your Passport. Contact me if you plan to meet us there, or at Peace Portal Park to carpool. Note I will be in Ontario from Feb. 7 to 21 visiting friends and relatives, but the DNCB outings will continue on Mondays during that period under Roger’s able tutelage. Again, comments and suggestions are welcome and encouraged. 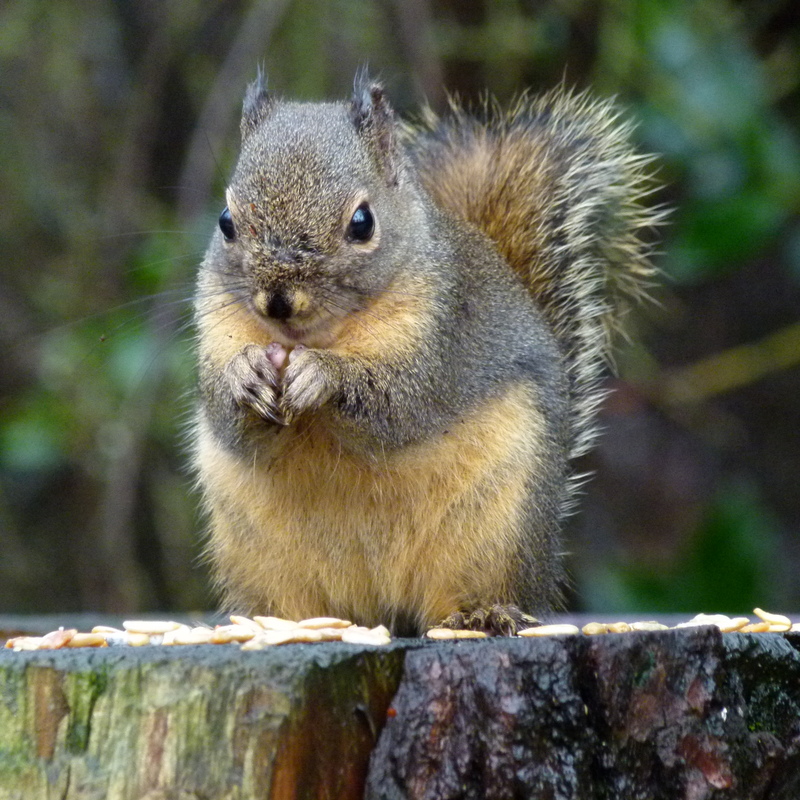 This entry was posted in *DNCB, Burnaby Lake. Bookmark the permalink.